We’ve always believed in HubSpot’s potential to disrupt an industry. In fact, PR 20/20 became HubSpot’s first agency partner back in 2007—a decision that continues to fuel and inspire our business. So we’re not surprised that the software company reported more than 34,000 customers and upwards of $89 million in revenue at the end of Q2. The HubSpot Growth Stack aims to solve our number one setback as data-driven marketers: the “elusive, fully-integrated marketing stack.” It creates a home base for all marketing, sales, service and CRM activity, enabling performance-driven, agile marketing. From initial prospecting to closing the deal, you can use the stack to design and serve the full customer experience. From top-of-the-funnel marketing to sales and service, it’s not easy to design a truly cohesive, inbound customer journey. Not to mention the struggle to mine key data points and fully deliver on performance reporting. Many CMOs and CIOs resort to several platforms to piece together holistic technology stacks (CRM, CMS, sales enablement, analytics, the list goes on). But the same issue remains: the buying cycle is disjointed and inconsistent. Like I referenced above, the need for a centralized, intelligent marketing and sales hub is greater than ever before. Luckily, HubSpot is delivering. HubSpot CEO Brian Halligan (@bhalligan) called the HubSpot Growth Stack an “all-in-one toolset to get the job done.” So, to showcase what that actually means, below I’ve broken down the buying cycle (from attract to close) alongside key features and functionality in HubSpot. 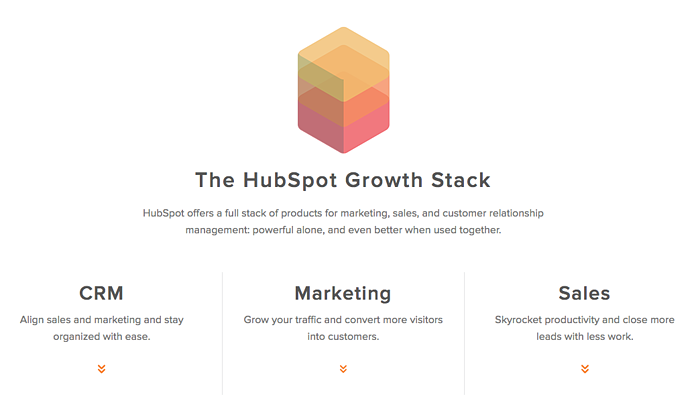 And, if you’d prefer to watch than read, check out HubSpot’s Growth Stack Demo. Website Builder: Sick of depending on a developer for minor page changes? Yep, we were too. The Website Builder tool puts you back in the driver seat. It’s easy to build pages (or entire sites) with drag-and-drop modules and customizable templates. Plus, with the Content Optimization System (COS), you can personalize page content for target audiences (e.g. serve up a localized CTA for those in your city). Once you’ve got your site up and running, the Page Performance report breaks down performance for each individual page. Optimization insights include on page SEO factors, ranked keywords, inbound links, CTAs and internal links. Check out our home page example below. Blog: A company blog is a mission-critical element of any effective content strategy. Across the globe, 346 million people read blogs. If you’re not blogging, you’re missing out on a massive readership and eventual sales. Like the website tool, you can easily build your blog within HubSpot—along with subscription options, CTAs, forms, etc. HubSpot also serves up keyword recommendations and measurement data so you can identify what’s working for your readers and what’s not. Social Media: Stay looped in on industry chatter via the monitoring tab, and create customized keyword streams to keep tabs on top priority accounts or subject matter. 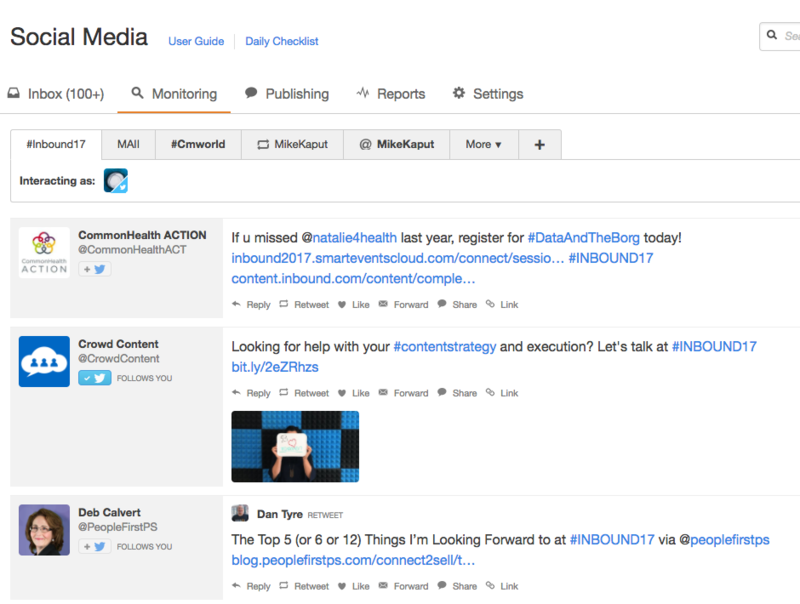 Below, see what we have set up to track the conversation happening around INBOUND. You can also schedule and publish from your networks, or create drafts for review. And, toggle over to the reports tab to monitor visits, clicks, contacts and interactions on your social posts. Under the main reporting dashboard, see which messages are most popular and adjust your strategy from there. 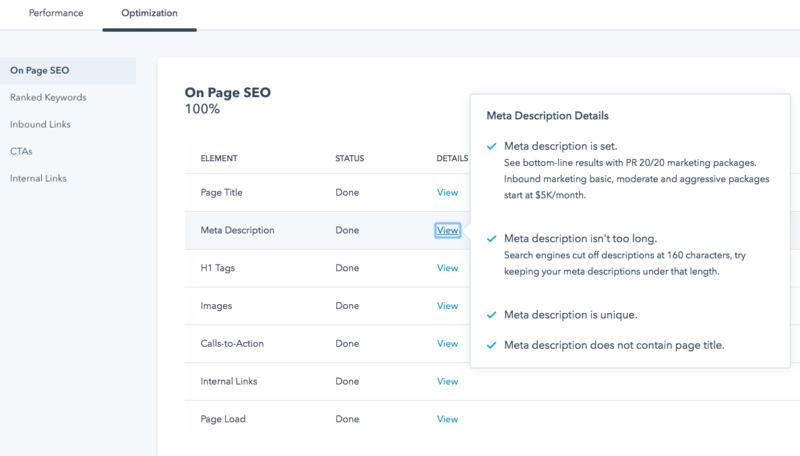 Keywords: Within your website reports, HubSpot features a section specifically for keyword intelligence. Marketers have full access to organic ranking, top keywords driving traffic, plus on page SEO advice and recommendations. With just one click into the PR 20/20 keyword portal, it’s evident that we rank in the top three pages for roughly 65 keywords and within the top ten for another 150. This intel is key for benchmarking, and to see how we compare against competitors. Calls-to-Action (CTAs): Convert your visitors through pointed CTA buttons. These might live within blog posts, website pages, main navigation, website footers, emails, etc. A CTA button funnels visitors to a landing page with a strategic offering or download. You can track the success of your buttons over time by views, views to clicks, clicks and clicks to submissions. Or you can set up smart CTAs to serve up more relevant offers based on individual contact properties, existing lists, and demographic information. Landing Pages: This is where the magic happens; visitors become qualified leads via your landing pages. But, keep in mind, a CTA click does not ensure conversion. Your landing page must be optimized and designed to cultivate real interest. In HubSpot, monitor real-time traffic and conversion, or A / B test landing pages to improve the user experience. Landing page success is often a process of trial and error; however, leveraging data will speed up the process and help you to better understand what appeals to your personas. Lead Management: Now that you’ve successfully converted leads, how will you nurture them and facilitate next steps? Well good news—you can manage, segment and score your leads all within one central location. Manage contacts individually (check out my profile below) and track engagement with your website properties. This information used correctly (be careful not to come across creepy) can be hugely helpful to customize outreach or even to assist your sales team with targeted pitches. Not sure how to organize and strategize on your lead generation? Download a sample vertical lead generation campaign here to see how we do it at PR 20/20. Aside from individual profiles, your business can design an intrinsic buying experience through lead scoring and designated workflows. List Management: Speaking of workflows, use list management tools to segment a targeted list of prospective buyers. You can funnel new leads into static lists for later use, or setup smart lists based on your predetermined rules. Regardless, these segmented lists will drive higher-performance, more personalized lead nurturing workflows. Email Marketing: Some may say otherwise, but email is still a channel we can’t ignore. Newer (and cooler) tactics often overshadow email, but the data proves that it’s still effective. According to eMarketer, roughly 80% of professionals feel email is a main driver of customer acquisition and retention. Plus, you can design, draft and send emails to segmented list from in your HubSpot portal. Within the email editor, it’s simple to drag and drop modules, set up HTML and plain text, optimize your content, add recipients and send. The biggest benefit? Utilize the tool to see where your highest quality company leads are converting, and leverage the list of related companies to target. 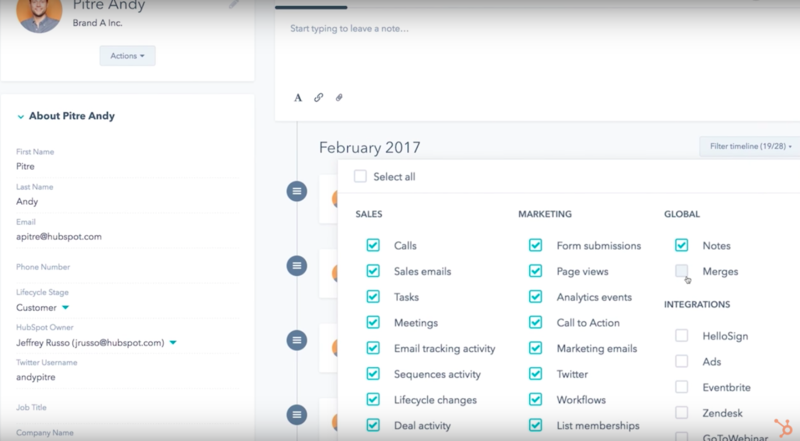 CRM: Track every interaction with your contacts and leads, including emails, calls, meetings and notes, all in one place. Plus, click into individual contacts to view all recent engagements (latest web page viewed, emails and calls, etc) and make a more informed sales pitch. The CRM also features a customized sales dashboard that you can update as opportunities move through the pipeline. And, the beautiful part, it’s free. 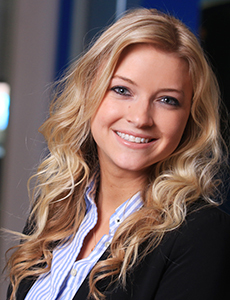 Messages: Live chat is becoming a must-have for quick, in-channel customer service. Consumers can ask questions without leaving your site and with minimal effort. Plus, we all like one-on-one, personalized service. Hence, HubSpot recently added messages (live chat) to the platform. It’s easy to customize your chat window, and target customers with chats at the optimal time. Another option: we use Drift for live messaging on the Marketing Artificial Intelligence Institute. Salesforce Integration: Yes, you can seamlessly integrate HubSpot with Salesforce. Once integrated, you can automate lead intelligence to be sent to your sales team in real time (e.g. website activity, form fills, etc). Learn more about the integration here or check out the full HubSpot CRM Integration Guide. LinkedIn Sales Navigator: If you’re in sales, you know that this tool is money. The targeting capabilities, real-time sales updates, and engagement methods are impactful (not to mention that LinkedIn has nearly 470 million members). And now, you can integrate your Sales Navigator direct with HubSpot to view all lead intelligence in one happy place. Reporting Dashboard: What KPIs matter to your leadership? Instead of manually pulling these numbers monthly, create a custom report in HubSpot and automate instant email delivery when it’s ready. For example, we have a custom report enabled to track website content and blog posts that generate leads. Social Inbox: Congrats, you won over a new customer! But, your work is far from done. Keep your customer happy and engage them individually through your growing social community. Within your growth stack, you can monitor real time social interactions and build deeper connections with customers. Marketing Automation: Develop a separate list for customers and continue to delight them with educational content, premium offers, upsell opportunities, and more. The goal is to turn happy customers into advocates and brand promoters. Meetings: Thanks to the meetings tool, there’s no need to send an email or make a call to schedule a time to chat. Simply sync your Google or Office 365 calendars, and prospects can book meetings through the tool. To close, this post includes a high level glimpse at what’s possible with HubSpot. We’d be happy to discuss what’s possible for your business in more depth.